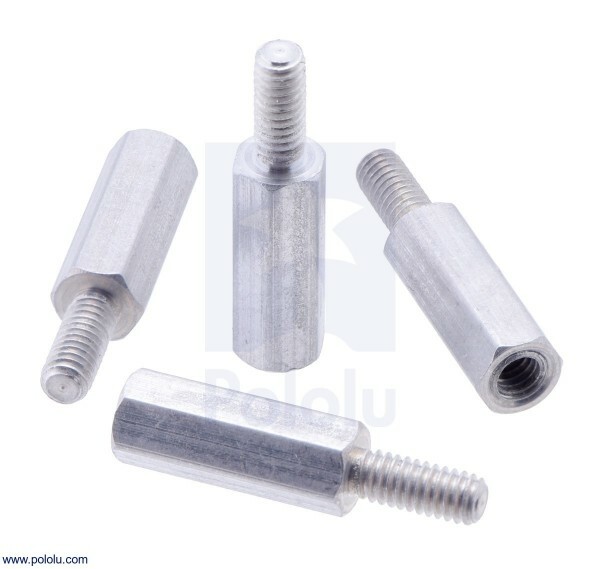 These hexagonal male-female aluminum standoffs are intended specifically for use with the Raspberry Pi. They keep parts spaced 11 mm apart, which is just the right height for mounting expansion boards with standard-size female headers, and they have M2.5 threads that are just the right size for the Raspberry Pi’s mounting holes. These standoffs are sold in packs of 4.